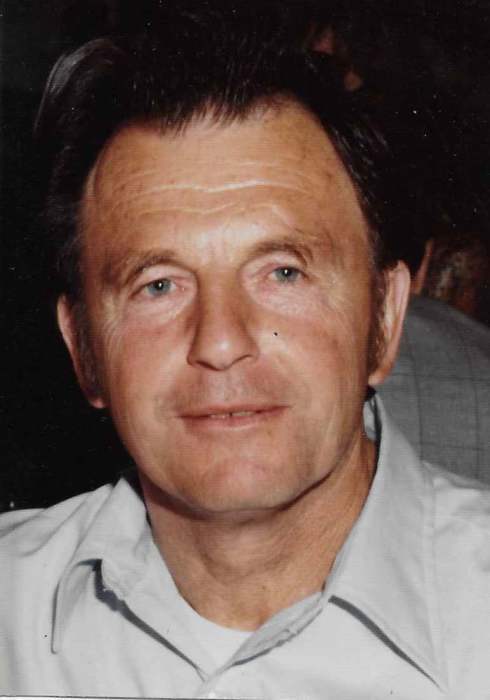 Anthony “Tony” Colendich, age 92, passed away peacefully on March 19, 2019, at Watsonville Community Hospital. A native of Watsonville, his parents, Madeline and George Colendich, immigrated from Brgat, Croatia. Tony attended Railroad School until sixth grade and started working when his father died suddenly on the family ranch. Known for his strong work ethic, Tony joined the United States Navy to serve in World War II on the battleship USS Colorado and returned home to marry Emanuela “Emme” Manfre. They raised their three sons on Emme Lane in Freedom while Tony was an agriculture worker in California and Arizona. He enjoyed meeting friends for daily coffee, playing bingo at Valley Heights, sharing many meals at the Freedom Blvd. Veterans Hall and Slavic American Cultural Organization (SACO) picnics, and traveling to visit his relatives in Croatia. Tony was a legendary slot machine player, but he’s not remembered for winning. He was loved for his mischievous spark and laugh, always ready to banter back and forth. Tony was preceded in death by his wife Emme, brother Martin (Lucile) Colendich, and sister-in-law Agnes (Pete) Leonardich. He is survived by his children George (Zelma), John (Franka), and Mark (Anne) Colendich; his grandchildren Nils (April) Thyrring, Thada (Shawn) Drummond, and Zina Colendich, Katie, Nikola, and Ivana Colendich, and Stephanie and Lucy Colendich; his great-grandchildren Bjorn Colen and Marin Thyrring, Violet Zelma (Kendall) Scott, Tory Anthony, and Shamus Michael Drummond, and Emanuela Jean Colendich-Robertson; great-great-grandchildren Ava and Jada Scott; and his nieces and nephews Michael (Suzanne) and Christine (Arlene) Leonardich, John (Marla) and Kara Colendich, and their children. A rosary and funeral mass will be held on Wednesday, March 27, 10:00 a.m. at Our Lady Help of Christians Catholic Church in Watsonville. In lieu of flowers, the family would prefer donations in Tony’s memory to Moreland Notre Dame School, SACO, or organization of your choice. Mehl's Colonial Chapel was entrusted with the funeral arrangements. The family would like to thank Dr. Melissa Lopez-Bermejo, Dr. Robert Weber, and the nurses and staff on the third floor at Watsonville Community Hospital for their kind and compassionate care.